Very common. I have encountered scuba divers who have never seen an octopus. Blame their dive agency and instructors. It is quite easy to find Octopus and they come in all sizes. I spent so much quality time with them. They even show character, every one of them behaving differently, some extremely shy, others very inquisitive. Their burrows are easy to spot. Unfortunately, wildlife photographers can not share because there are always people who are out for a free dinner or simply some pathetic killing fun. 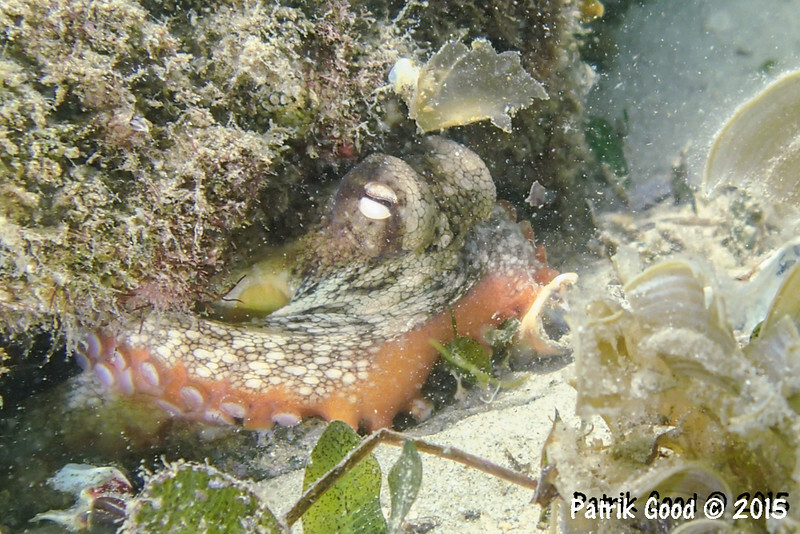 Octopus are quite capable predators and don't shy away from a fight with huge crabs. They certainly have an important function regulating the abundance of certain species.